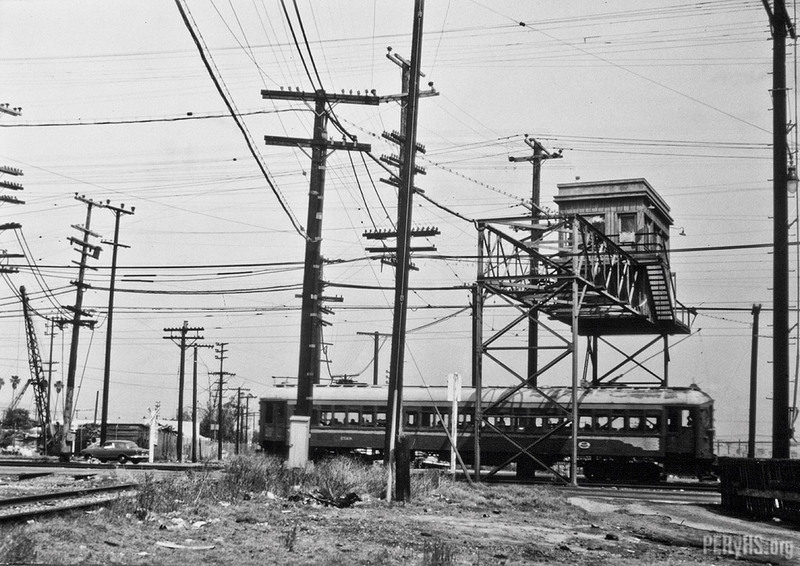 AMOCO Tower on the 4 Tracks section of the Long Beach Line. This view was taken from along the Air Line tracks that are just visible in the lower left hand portion of the frame. We are looking eastward at this passing LAMTA Blimp.